Ask any CEO today what their number one concern is regarding their business and they will now state “security”. Seems like once a week you here about another major breach. In the past security was just protecting systems from viruses and malware. Now you need a multi-layered approach to protect your network, systems and mobile devices. It’s not just big business either, small businesses are just as vulnerable and maybe even more so since they don’t have proper security in place. Hackers are no longer just one person sitting behind a computer, they are organized, communicate and share exploits. Some are state sponsored. They are not looking to disrupt your business, just the opposite. They want information, they want to take it and leave without knowing they were there. What information do they want? Intellectual Property, Social Security numbers, Credit Card Numbers, Bank Accounts, any Identity information. Some even hold your data for ransom. Antheon offers best-of-breed products that protect your business. What do we mean by layers? Lets take a typical exploit: A bad guy sends you an email message that looks identical to typical message you would receive from one of your vendors. (Mail Security), You inadvertently click on an attachment or link and are brought to a website which looks like your vendors site (Web Security). This is a fake site with the sole purpose of installing a malware application onto your computer (Antivirus). This site probes your computer for an exploit, a piece of software that you neglected to update or did not know about (Patch Management). The malware is planted and the intruder can now access your system (Firewall). All of the highlighted items are a layered approach, layers are the only way to safely run and protect your business, employees, customers and intellectual properties. Security does not have to be expensive. However, think about the cost of losing your data. What happens if your employees or customers identifications are stolen and posted? What happened to those CEO’s of the companies you read about? What’s your data worth, a lot more than you think! We offer hosted mail security solutions to filter your email of SPAM, Viruses and malware prior to delivery. Mail security can be integrated into your managed environment as well to give you one cohesive solution. 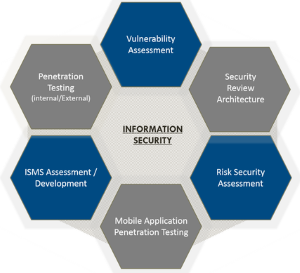 Web security can be geared towards your business needs and environments. Web filtering can block known malicious sites and can be customized on a machine by machine or user basis. For example you may not want your cash register computers accessing Internet websites with the exceptions of allowed sites or you may want to block all certain sites based on content such as gambling, shopping and adult sites. Antheon can customize a web security solution that fits every business need. Antivirus on the client computer is the last line of defense. It should be a managed solution where you know from a single console that all clients and devices are protected, up to date and fully functional. Antheon provides solutions that are fully managed. Patch management is probably the most neglected security component in your environment and probably one of the most important. Most malware gets installed by using an exploit in an unpatched software application. How many times have you neglected those annoying update messages from Adobe, Java, Microsoft or Google updates? Your focus should be on your business, not running around and installing updates on all of your system every week. With ATG Managed Services, updates are automatically installed and monitored. The firewall is the perimeter defense against intruders and malicious software. It’s important to have a next generation firewall that not only filters traffic but offers so many other security features such as Application Awareness, Intrusion Prevention, Web Security and Filtering, Antivirus and Threat Detection. ATG works with today’s leading security vendors to provide the comfort level you expect from your IT consultant. We offer additional security items such as File Encryption, Mail Encryption, Two Factor Authentication, Biometric and Tokens. 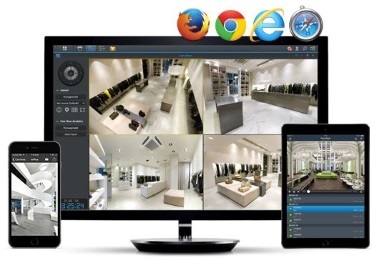 We also install video and audio surveillance equipment and software so you can monitor your business 24 x 7 from anywhere.